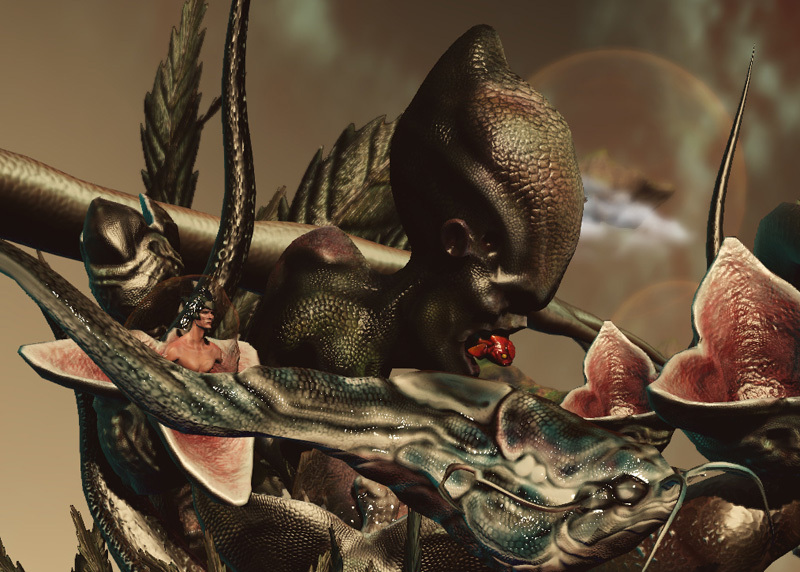 Well, there’s always plenty of art projects going on in Second Life, but two have come to my attention recently. 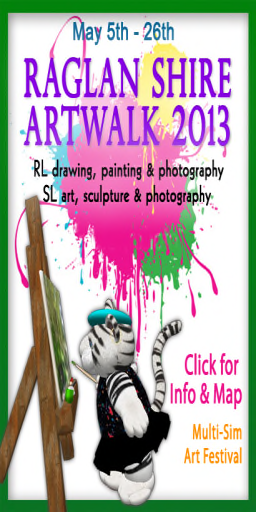 The Raglan Shire ArtWalk 2013 opened Sunday May 5th, and displays the works of over 130 artists over four sims in an outdoor setting. The show runs from May 5th through May 26th. Artists gridwide converge to exhibit their RL photography and art and SL photography and sculpture in this annual arts festival, hosted by the tiny community of the Raglan Shire sim cluster. 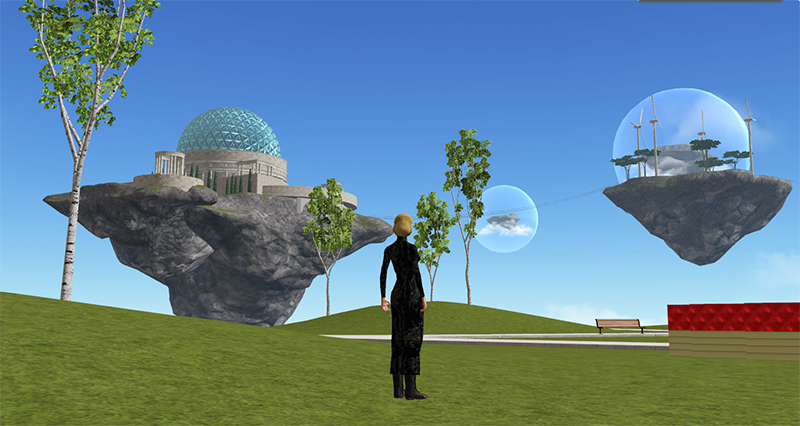 2D art of all kinds is exhibited along the hedgerows in the central area of Raglan Shire sim. Second Life sculptural works are exhibited among the trees and along the shores of the western half of Heron Forest in Heron Shire sim, in the parks on Morning Shire and Raglan Commons sim. TP kiosks to the display locations are throughout the grounds of the festival. It’s a little like the displays we get in my hometown or in London, where artists exhibit on park railings every Sunday (and sell their paintings too). You don’t have to be a tiny to visit and enjoy Raglan Shire. Avatars of all shapes and sizes are welcome to visit the show during May and enjoy wandering these fun sims dedicated to tiny avatars. Be wary of riding the transport if you’re a biggie, though. It might (heh heh) bring you down to size. Meanwhile, Cloud Partty are celebrating their first Anniverary with an Art Contest, and a handsome $1,000.00 (USD) prize. In collaboration with art critic Ben Davis, executive editor of Artinfo.com, Cloud Party are sponsoring an Art in Cloud Party contest with a first prize of $1,000.00(USD)! The Community Favorite prize, as voted by the community, takes home 2000CC(Cloud Coins virtual currency). And to make it easier for artists, entrants in the competitionwill be given free virtual studio space for a month to create their entry. The deadline for entries in June 12th. The theme is “Monumental Work of Public Art” – so one suspects we’re not looking for small, intimate pictures of family life here. There’s already a taste of the possible in Cloud Party with Claudia222 Jewell’s work. The clarity of textures she achieves and the level of involvement suggests that Cloud Party has great potential for installation art – as you can see on the Designing Worlds show where we featured Cloud Party. It will be fascinating to see what is offered. The rules for what you create are pretty wide open. It can be visual, interactive, collaborative – whatever you come up with that meets your definition of art and reflects our theme. Since this is a subjective topic the organisers say that they intend to be pretty open-minded, but do keep their Terms of Service in mind and that this is a 13+ website. More details (including entry forms) can be found here. Next Post: Bay City turns five today!